Moms are the hearts and souls of families. They do a million things and more. They are real superheroes. My mom did so much for me growing up and still does. But more powerful than any one single thing she did is the internal voice she sewed deep inside of me. It continues to replay in my mind every single day. It began as her voice but has become my own, and it is my super power. She planted confidence within me and helped me build a strong sense of self, all with her amazing words. She said this mostly when I did something kind, made good decisions, or showed independence and strength of character. She also said this when I was sweaty, dirty, messy, and working hard. She taught me that true beauty lies inside and in my positive actions, not my appearance. I remember hearing this throughout my life. It wasn’t like she was priming me to have children, but she saw something in me then that I draw on now every single day of my adult life. I have felt run down, exhausted, worried, and unsure of what to do at times, but I have never doubted myself as a good mom. My mom always wanted to know my feelings. Even when she didn’t know why, or couldn’t understand why, she always offered empathy. Empathy breeds empathy, and we know that it’s one of the most important skills for children to learn in order to have successful and positive relationships in life. And positive relationships build confidence. My mom never told me what to do. When she seemed to think that I might be wandering astray or about to make a not-so-awesome choice, she showed me her trust and confidence instead of challenging or controlling me. She made my thoughts and feelings important by asking me about them. When trying to figure out what to do, my mom also told me that she trusted me to figure it out. Decisions are so important for self-esteem, and my mom never second-guessed mine. She let me be in charge of myself. She was there to catch me when I fell and was always on my side. My friends were always welcome at our house. Friends would come over even when I wasn’t home because they knew my mom would invite them in and offer them a snack. Through this open-door policy, she taught me not to worry about the tiny details of how clean your house may be or how fancy your meal. You just welcome people. My mom had a rosary attached to her fingers while I was growing up and still does. She didn’t offer a quick sentiment. She really prayed for me. She prayed for my boyfriends, she prayed for my friends, she prayed for my friend’s friends, their parents, and their extended families. She taught me to pray for my children, which has given me great peace. It has given my children an increased sense of peace and security as well. Of course, all moms say this. My mom said it all the time. If there were better things she could have said to let me know how she felt about me, she would have. But my mom said “I love you” like it was the absolute tops, and even still, it seemed just a little too inadequate for all her actual love for me. When I was a kid, there was always fun, play, and laughter. My grown-up heart seeks those things out when life gets big and heavy. My mom still says this to me when I drop my kids off at her house for a sleepover. She shoves me out the door and tells me not to worry about a thing. Then she wants to know all the fun things I did while she took care of my kids. She gets joy out of my joy. In this simple way, she tells me that I am not a burden; I am a joy. My kids are a joy. It makes my heart swell, like I really am doing a good job. What a gift to grow up hearing that someone was proud of me, no matter what. I grew up believing that I could be proud of myself. And I am. Slow down. When you rush, things fall apart. Lower your expectations of what you can do and how fast you can do it, and everyone will be happy. 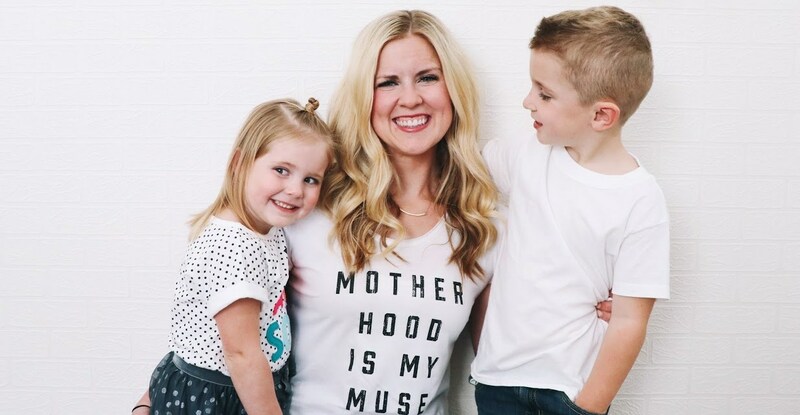 Being a mom is largely a self-confidence game. I know this firsthand; my new baby tested my wits constantly, just when I needed them most. 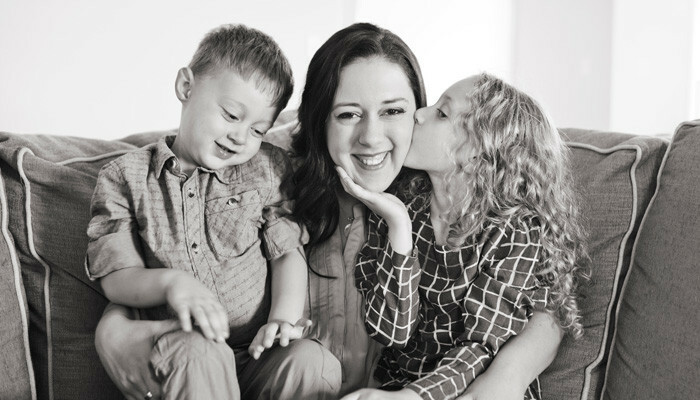 But the more confident I became, the less stressed I felt, the calmer my daughter was, the better the nursing flowed … and the smoother things went at home, the park, the store. Remember, however, that being unsure isn’t all bad. 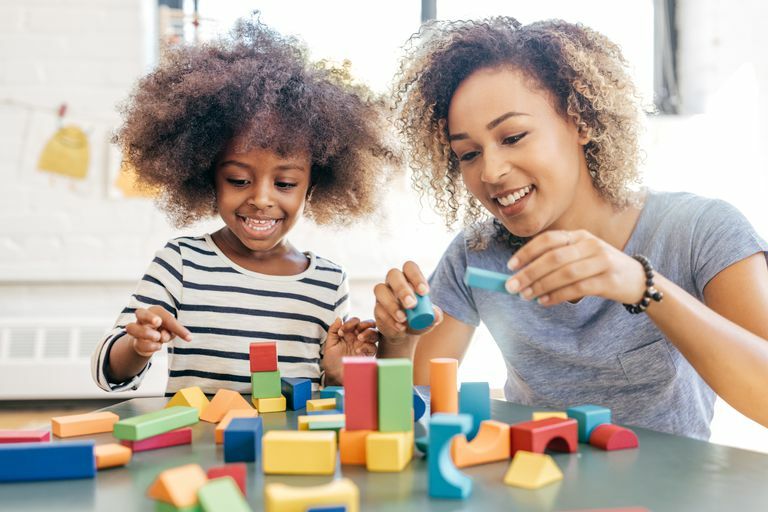 “If uncertain feelings are creeping in, you’re taking your job as mom with a lot of responsibility,” says Yvonne Thomas, Ph.D., a psychologist in private practice in Los Angeles. Your baby already thinks you’re top-notch. Our guide will help you believe it, too. 1. Act like a baby-care pro. To be more self-confident, begin by acting like it. Your baby will feel safer, calmer and happier as a result, and soon assuredness won’t be a guise as you get the hang of cleaning the umbilical cord, giving your baby a bath or maneuvering a wobbly little head through a shirt opening. 2. Don’t cave in to bad advice. “She needs cereal,” my parents and in-laws said every time my newborn daughter fussed. By six weeks, I was so dazed from nighttime nursing and pressured by their certainty I was starving my daughter with breast milk that I almost gave her some rice cereal. But I decided to double-check with her pediatrician and, sure enough, their advice was 30 years outdated. Don’t relent when barraged with advice from people who act as if they know more than you do. 3. Overcome bad mommy syndrome. When you feel the guilt coming on, follow these guidelines: First, put your offense in perspective. Did you lock him in the closet, leave him in a hot, parked car? Of course not. Second, remind your too-critical inner voice that all kids—even babies—get hurt sometimes. Third, make a change that will prevent the problem—and guilt—next time. (Propping your baby in a U-shaped nursing pillow may prevent future falls.) Finally, put the incident where it belongs: in the past. When your baby is hard to calm, find a place to work it out in private. Not only will this get your child out of a stimulating environment, but it will also protect you from unsolicited advice. If relatives try to follow you, go into the bathroom and shut the door. (Even the nosiest know-it-alls won’t follow you there!) Then turn on the fan—the white noise may do the trick. Tune into your gut feelings to make decisions quickly and confidently. Start small (regular or lavender baby wash?) and work up. Quickly “try on” your decision before finalizing. You may know the answers to all the pediatrician’s questions, from your baby’s age to her highest temperature, before you walked into his office, but suddenly you can barely remember your child’s name. Research shows that people under acute stress have difficulty retaining information in their short-term memories. So bring notes to every appointment with your pediatrician and jot down the doctor’s instructions while you’re there. 7. Don’t hide your emotions. “Your child is going to run that ‘mommy tape’ in her head the rest of her life whenever she’s feeling emotional,” says Kathryn Oden, Ph.D., a neuropsychologist at Carson-Tahoe Hospital in Carson City, Nev. “She’s going to learn how to self-soothe from you.” Just dial back the drama if your baby starts to cry or look frightened. 8. Beware of competitive friends. 9. Take time for you. Recharge your batteries with a quick bubble bath, listen to soothing music, do an exercise video. 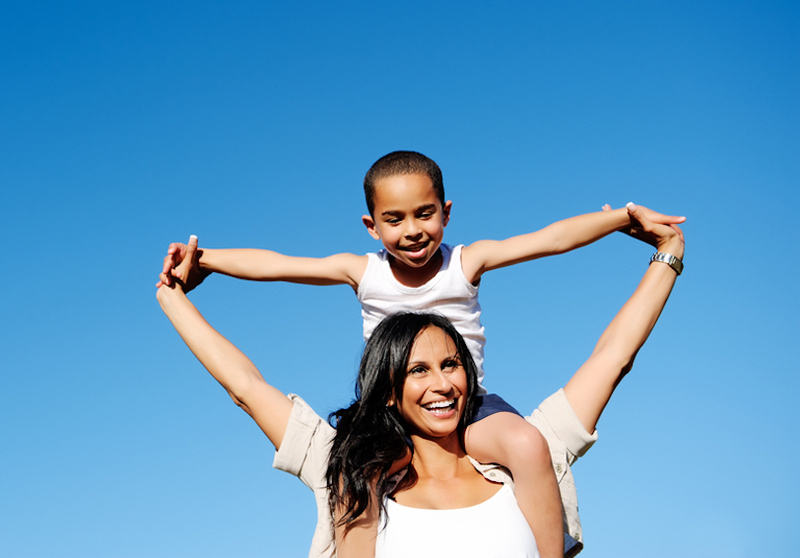 You’ll be a good role model for your child, showing her that taking care of yourself is a priority. Spend as much undistracted time as you can with your baby, allowing yourself to be in the moment. Seeing your little one conquer a new milestone will remind you of the good job you’re doing. On which hand to wear a fitness bracelet and how to choose the right size? If you still do not know, then this note is for you.The straps for smart bracelets and fitness trackers are made of hypoallergenic silicone, so you can wear gadgets around the clock. Two types of straps, 19 and 24 cm, with a large number of fixing holes conveniently fit on a hand of any size. Thongs of 19 cm are suitable for people with a thin wrist, including children. 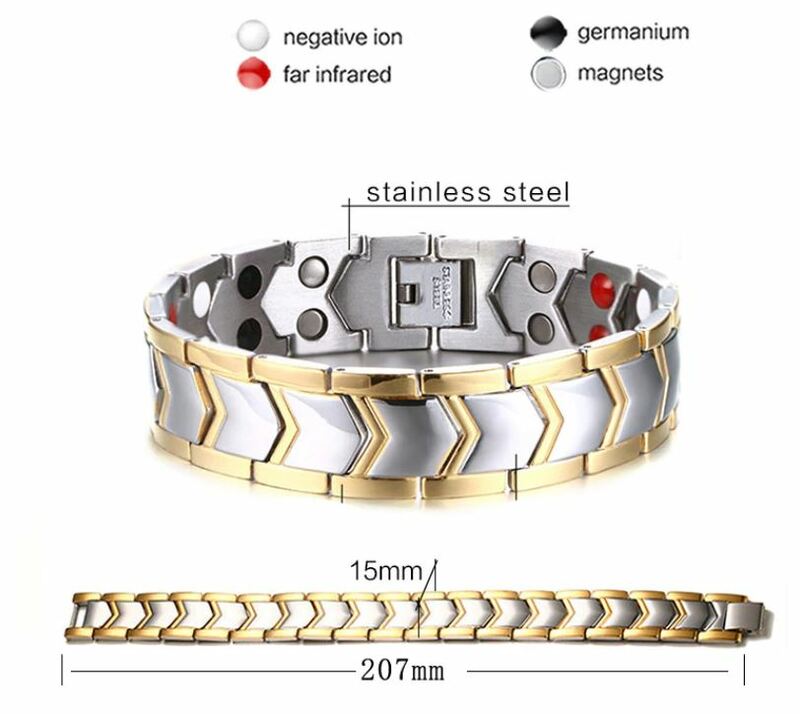 You should also be aware of the things like do negative ions bracelets works. If you doubt what size suits you, you can measure your wrist with a centimeter tape or thread, wrapping it around your wrist and then attaching it to the ruler. It is advisable to wear a bracelet on the “non-leading” hand. This means that right-handers should wear a fitness tracker on their left hand and left-handers on their right. So activity data are considered more accurate. 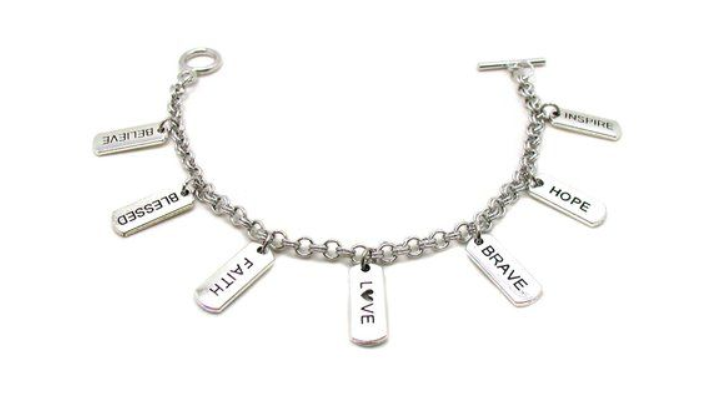 Grab your very own negative ion bracelets for you or your loved one at braceletworld.co. The strap together with the capsule weighs only 23 grams, so you will not have to get used to the bracelet for a long time, rather quickly its presence on the hand becomes imperceptible. And the choice of 6 color straps in combination with colorful clasps will allow you to create a bright stylish look. 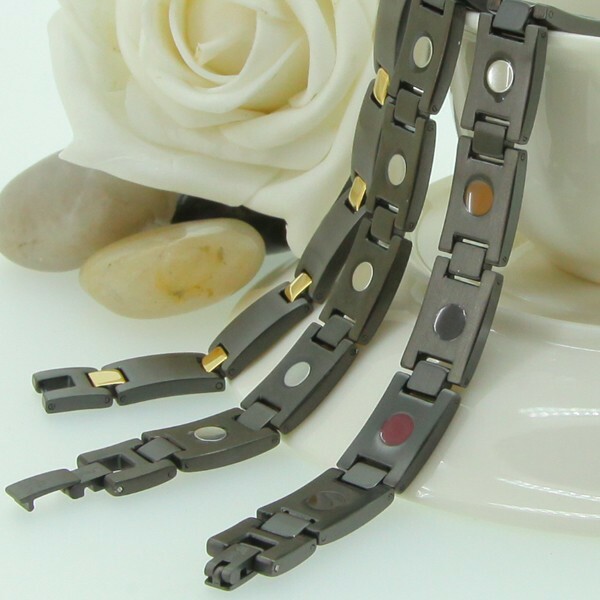 One of the most popular and beautiful jewelry for the male is considered a bracelet. It can be absolutely anything like classic gold or silver, woven, knitted plastic or fabric. There are a lot of bracelet options today, the choice of the right one depends entirely on the taste and style of its future owner. Some absolutely do not think about the hand on which the man’s bracelet is worn. To others, this question is of fundamental importance. Let’s deal with the hand on which it is customary to wear jewelry to men. On which hand is it customary to wear a bracelet for men? Today’s fashion is so free that there are no specific rules on which side to wear jewelry to men. This applies to both bracelets and rings and earrings. However, most men wear a bracelet on the right hand. What is the reason? Surprisingly, in our age of high achievements and new technologies, offering users a wide range of gadgets and devices that allow you to determine the time, wrist watches have not lost their popularity. Moreover, this accessory, made with high quality and expensive, is able to emphasize the style of its owner, taste and status. That is why men’s watches are so popular among the representatives of the strong half of humanity. They are considered a valuable gift not only for her beloved husband, but also for her father, brother, and even colleagues. To wear a bracelet in combination with a wristwatch must be correctly. So it is accepted that the majority of right-handers wear a watch on their left handthis is more convenient, because a massive accessory does not interfere during work or food. In this case, the decoration must be worn on the other handright. This is not an argument because some are more comfortable and more comfortable to wear a watch on their right hand. It all depends entirely on the convenience and desires of men. Is it worth it to combine a chain with a watch on one hand? Come to this question more thoughtfully. 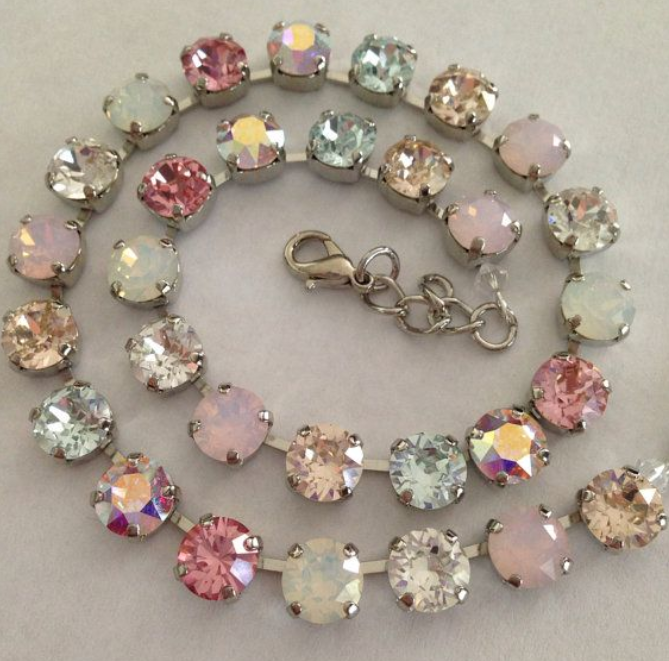 If you already wanted to combine two accessories on one hand, the jewelry should be combined or complement each other. If a man combines a massive watch with a bracelet on one hand, then the latter should be thin and elegant. It is worth noting that massive jewelry will not look aesthetically pleasing on men’s hands. On the contrary, to emphasize strength and independence, thin men’s accessories will help to pay attention to beautiful strong hands. Today, by the way, it is fashionable to combine watches with hippie-style bracelets on thin leather straps, which differ little from each other. Experiment with styles, you may like something new and modern. 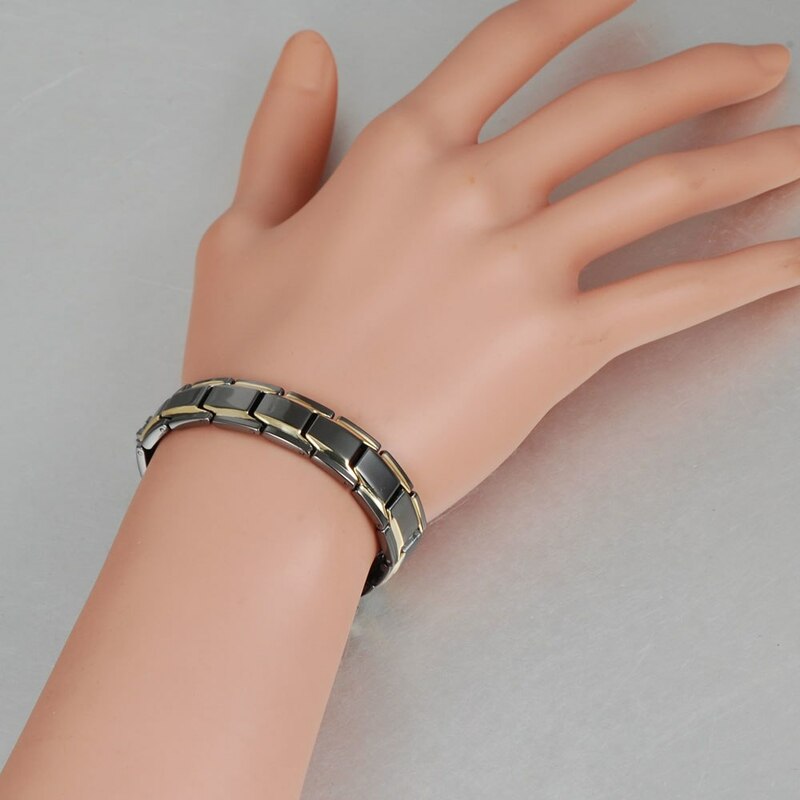 With the help of a bracelet, a man is able to complement his image, bring interesting touches into it, and emphasize originality, attractiveness and strength. Applying the effect of contrasta thin bracelet on a strong male handits owner will favorably emphasize his sexuality. In this regard, girls have a much wider choice, because absolutely any jewelry will look on women’s hands: from thin delicate chains to massive and numerous bracelets. The main rule in the combination of accessoriesdo not wears silver chains with gold. You can successfully combine other materials based on your taste. Women, as well as men, prefer to wear accessories on their right hand. As a rule, women often carry handbags on the right hand, and a bracelet is picked up under it, creating a set. In both women and men, the right hand is more active than the left, it is often in sight, and a beautiful and expensive accessory is exactly what you want to flaunt. As you know, the type of decoration can determine the nature of its owner, style and features. For example, a gold chain will be chosen by a confident person and trying to be first in everything. The silver jewelry will be to the taste of a rational and stable person, in whose life there are few surprises. A woven or fabric accessory will be chosen by a creative and romantic person who prefers surprises and passionate emotions. A wood ornament will be worn by a courageous and strong man who pays special attention to his style and appearance. The combination of jewelry from different materials on one hand will be enjoyed by a bold and risky nature. Combining jewelry, you should take into account one rule: observe the measure and sense of style. 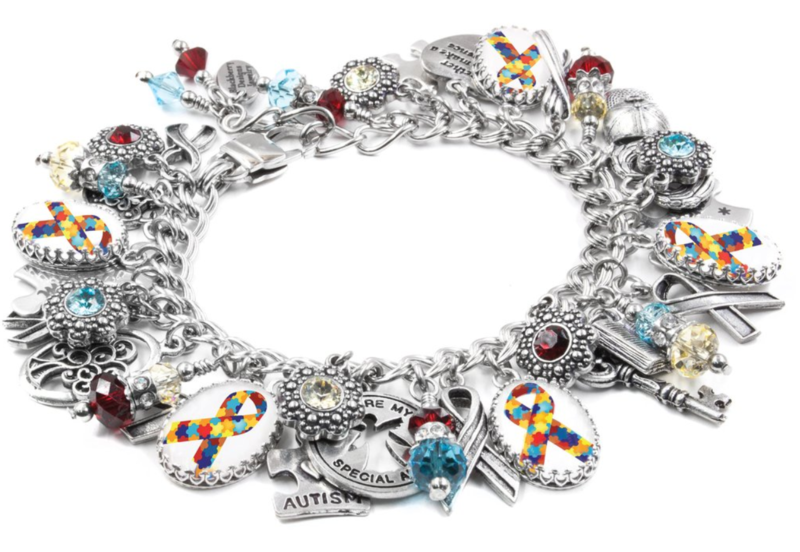 Then the accessories will look great and complement your image, no matter what hand they are wearing.